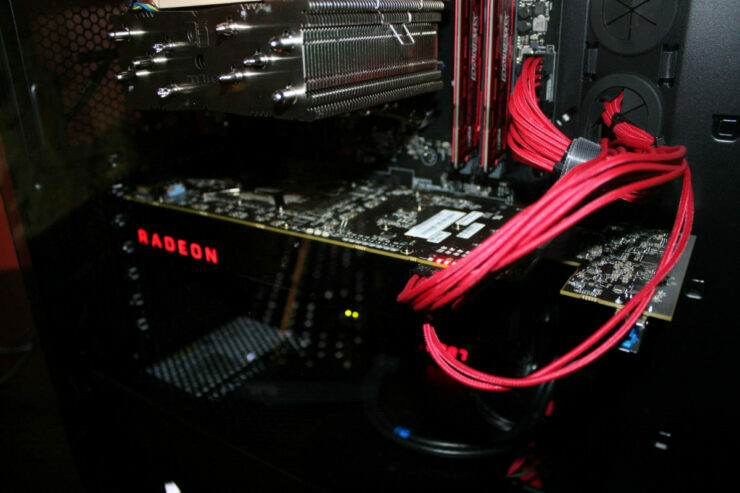 Thanks to the latest Linux graphics driver update submitted by AMD we now have detailed specifications of the upcoming Radeon RX Vega GPU. The DRM, Direct Rendering Manager, update to Linux was issued yesterday and it’s the first update to date that adds comprehensive Vega feature support to Linux. No doubt in preparation for Vega’s launch which is expected to take place at the end of the month. The latest update for Vega is the biggest by far that we’ve seen yet and it exposes kernel level Vega support for GPU sensors, partial resident textures, network virtualization, non-contiguous vRAM mapping and much more. 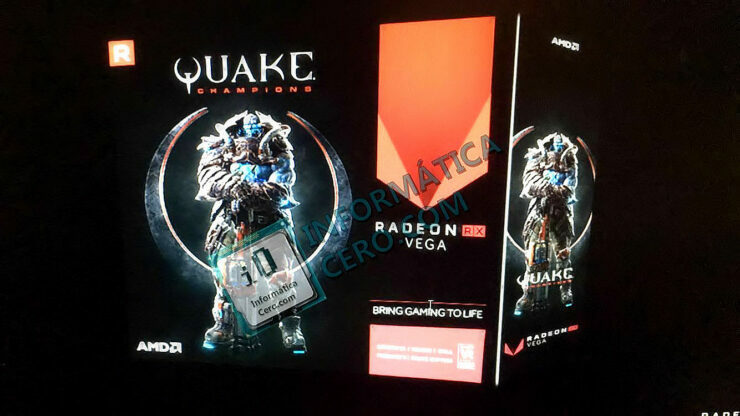 It also includes intimate details of Vega 10 hardware specifications, AMD’s upcoming flagship graphics chip. 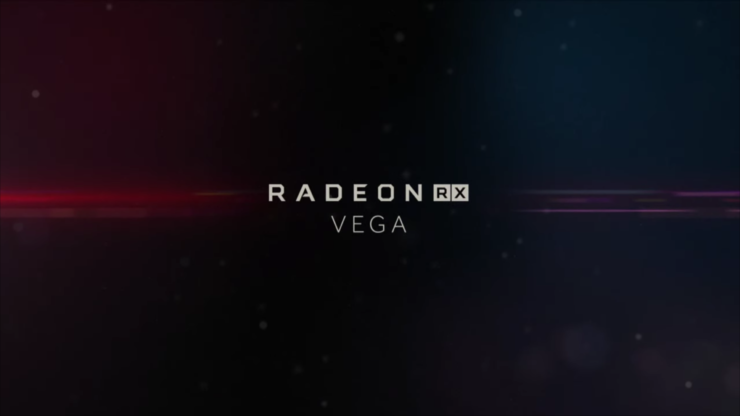 As such this update serves as the first official source detailing Vega 10’s specs. So without any further delay let’s dig into the juicy bits! So first things first, the core count. 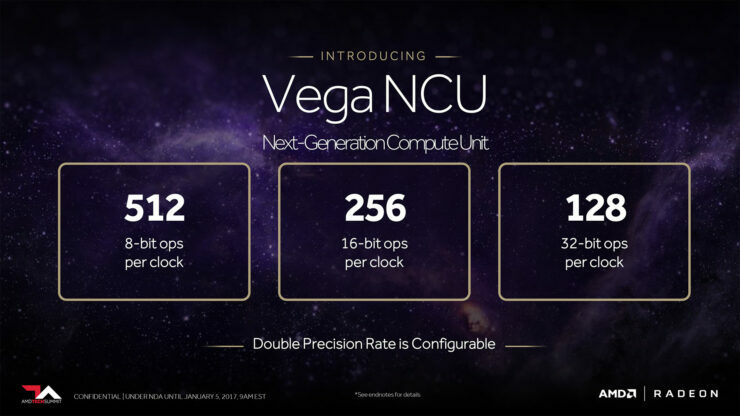 Vega 10 features 64 Next generation compute units, each containing 64 GCN stream processors. 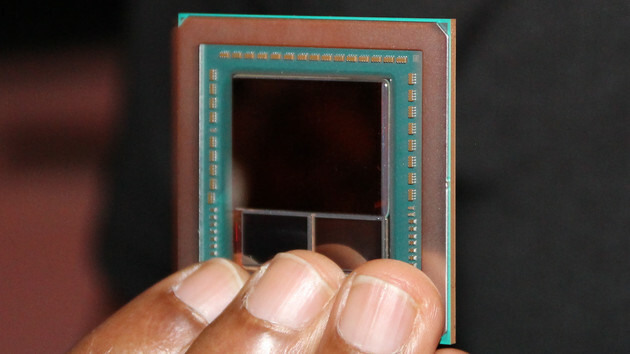 The entire chip has a total of 4096 next generation GCN stream processors divided into four divisions, each making up a single Shader Engine. Every 1024 sp shader engine has two Asynchronous Compute Units, one render back-end and 4 texture blocks. Each render back-end is comprised of 16 render output units, for a total of 64 ROPs. Each texture block is comprised of 16 texture mapping units, for a total of 256 TMUs. Vega 10 also supports 8 independent work threads simultaneously. 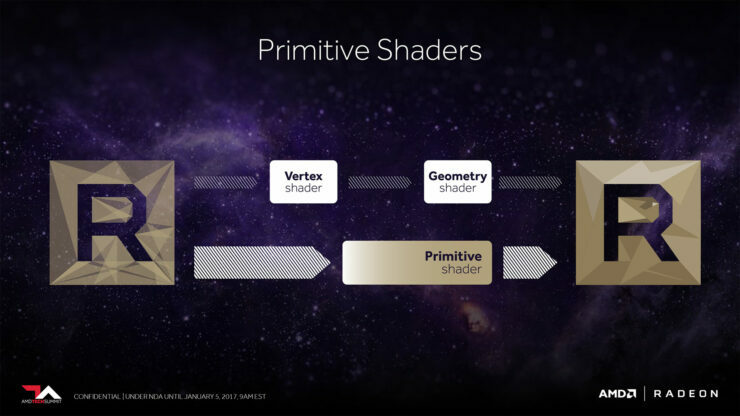 By comparison, Polaris 10 Pro which is the GPU powering the RX 470 has exactly half as many stream processors, half as many texture mapping units and half as many render output units. Polaris 10 Pro is a slightly cut back variant of Polaris 10 XT which powers the RX 480. Vega 10 has double the render output units of Polaris 10 XT, can execute double the number of work threads and features 78% more stream processors and texture mapping units. 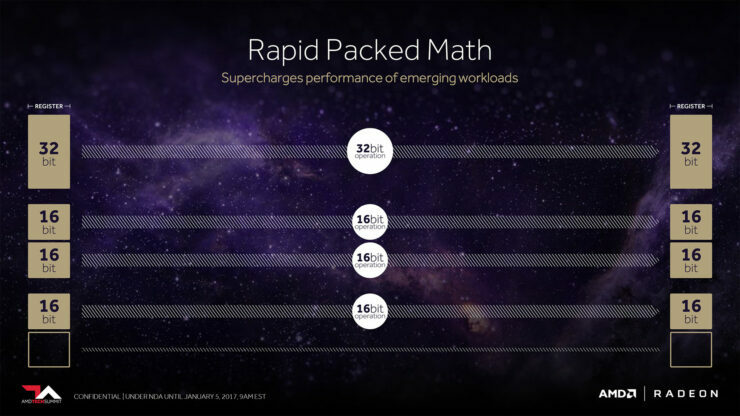 Based on AMD’s quoted FP32 and FP16 figures for its Vega based Radeon Instinct MI25, Vega 10 would need to operate at a clock speed above 1.5GHz to deliver 12.5 TFLOPS of FP32 compute. Radeon RX Vega graphics cards will feature up to 8 gigabytes of second generation High Bandwidth memory. Early gaming demos of Vega showed the GPU slightly outperforming Nvidia’s GTX 1080. A later demo showcased Vega delivering 60+ FPS at 4K in Star Wars Battlefront. You can read about the Vega architecture in full detail here.